I drafted this blog post on an aircraft flight. I was on my way to spend a half day with a small group of Subject Matter Experts (SMEs) to run a kickoff session on development of a learning program for their job role. The delivery methodology is structured on the job training. Each session in the program is documented in a Guided Lesson which is, in effect, a session plan that an experienced person can follow when training someone how to do job role tasks. It emphasis the learning goal and topics that must be covered in the session (generous use of action verbs), rather than the detailed content of ‘how’ to do things. The ‘how’ is documented in performance support materials like work instructions and screencast system simulations. The structure of a Guided Lesson is shown below and you can view a Sample Guided Lesson. A Guided Lesson brings greater consistency to ‘buddy training’ and helps keep learning in the workplace context where tasks are actually performed. 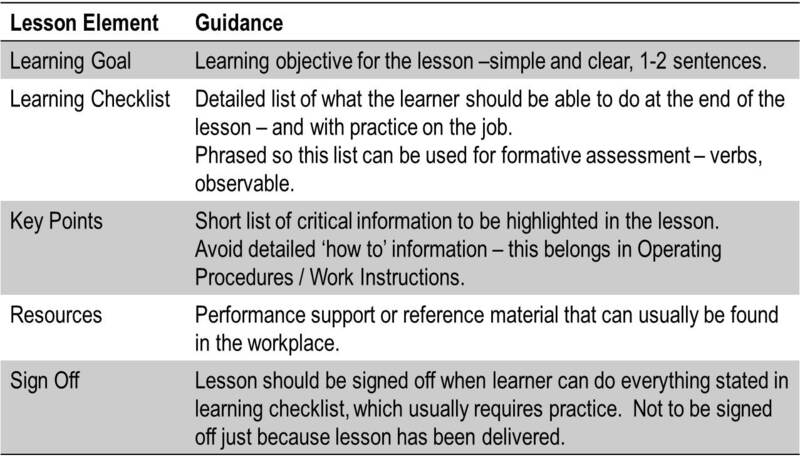 As it is delivered on the job the learner can immediately practice the skills covered in the lesson. These are some of the obvious benefits of the approach. 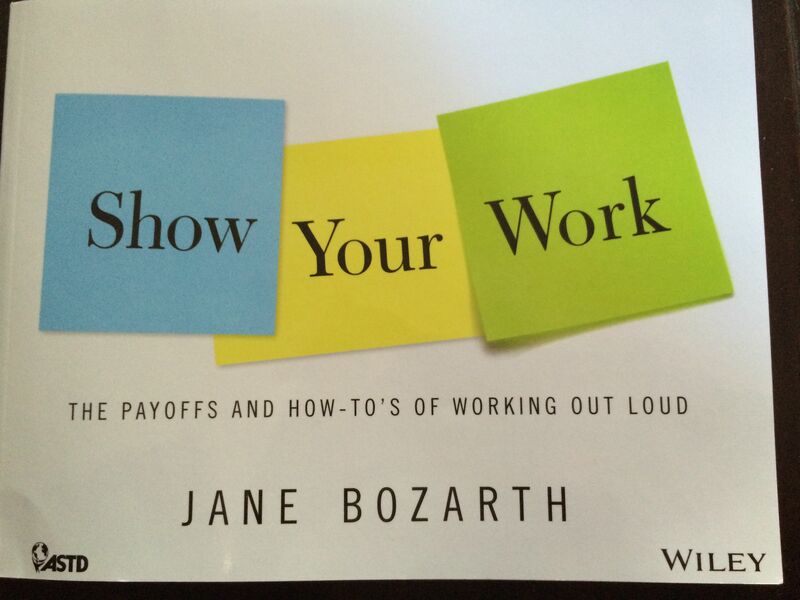 As I skim through the agenda and pre-reading of this session I glance down at Jane Bozarth’s book Show Your Work, which is sitting on my lap underneath my notes. I have an ‘aha’ moment. The other vitally important source of information about ‘how’ to do things is the tacit knowledge that resides within the SMEs. These are the things that they know about how to perform effectively in the role that are not so easy to document and codify, or difficult to follow when written down – like how to deal with exceptions, how to best communicate with different stakeholders, how to influence others to make decisions. I think that one of the reasons Guided Lessons have been so effective and well received as an approach to technical training in my organisation is that the format allows experienced people to share not only documented explicit knowledge but also their tacit knowledge. As they deliver a Lesson and refer to performance support material they can also discuss their experience and insights into how they work. This is something that our SMEs will readily understand, and I think gives me a great way to start conversations with SMEs about showing their work more publicly to larger groups of people. If they can see it as an extension of what they are already doing when training a novice then one aspects of the purpose and benefits of showing their work may be easier for them to grasp, and the approach may feel more natural. We can then go on to discuss other benefits. This also feels like a straightforward way for me to introduce the idea of showing your work to others in my workplace. You are currently browsing the archives for the SMEs category.